The best currencies are Euros, Canadian Dollars, or Sterling since these are the most common and the exchange rates are generally quite reasonable. Bear in mind that the CUC is pegged to the US Dollar (at 1:1) so a stronger US Dollar means a stronger CUC (and hence less CUCs for your Euros/Sterling etc.). 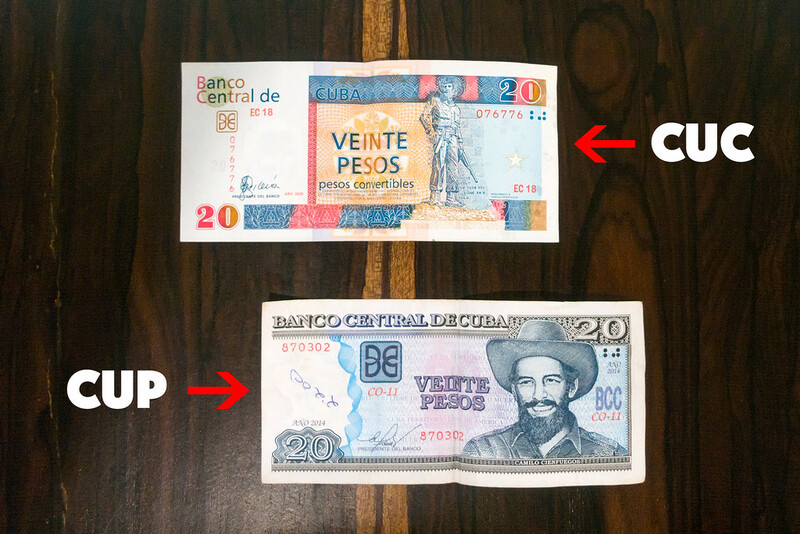 Other currencies, which are universally accepted at banks or Cadecas, include the Swiss Francs (CHF), Mexican Pesos (MXN) and Japanese Yen (JPY).